Tina had tried Tuk Tuk Safari in Colombo and all she said about it was high praises. She said it would be a tour I would love to do. Unfortunately, I didn’t have time in Colombo anymore. 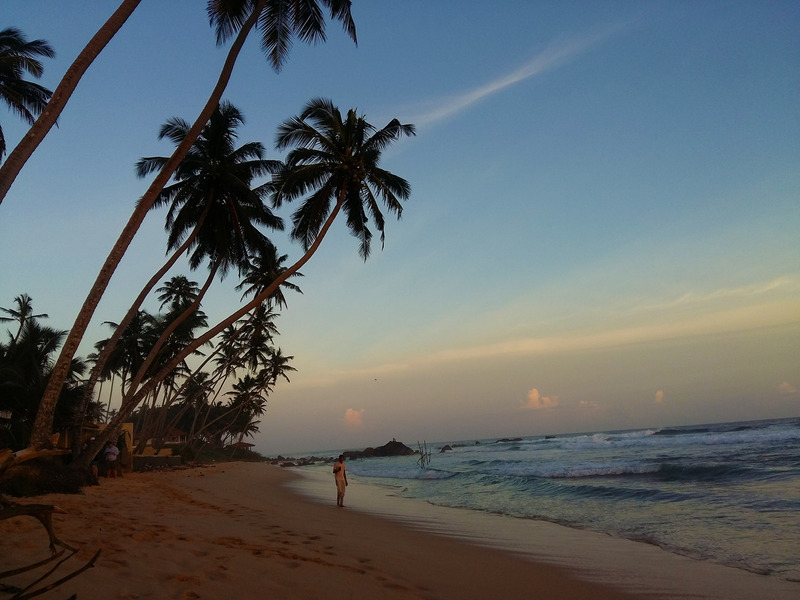 But then fortunately, they also had it in South Of Galle. So Patrick, Tina and I did this instead. 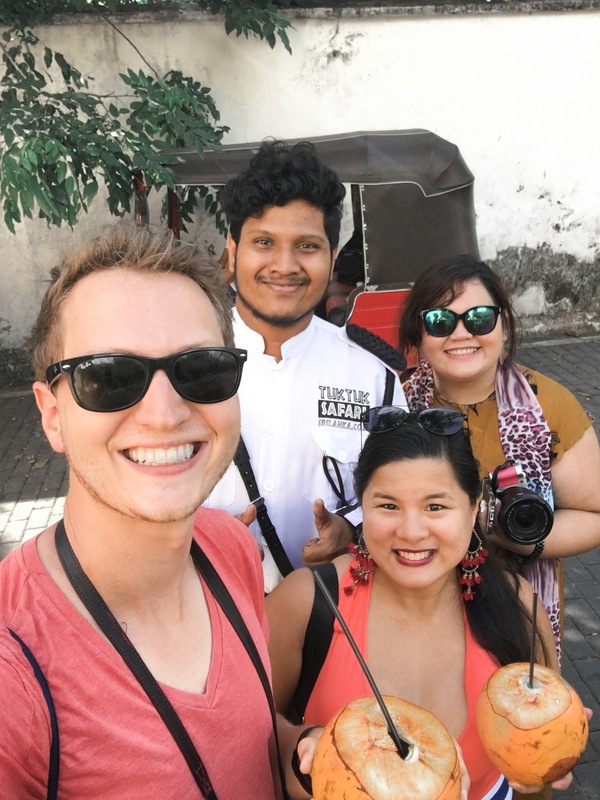 Booking with Tuk Tuk Safari was no-hassle because Kusal replied with our inquiries in no time. (Even a day before we went on the Safari). All we had to do is let them know where we will be fetched. In our case we decided to get picked up in Galle Fort but be dropped of in our hotel, Twenty Two Welligambay at Welligama Bay. They usually bring you back to your hotel but then we had wanted to explore Galle earlier that day hence the logistics. Captain Pumba, who’s very prompt was our driver and our guide. Upon arrival, he gave us roses and a King Coconut drink which is a widely popular welcoming drink in Sri Lanka. Upon discussing with Captain Pumba our itinerary, he suggested that we include the tea factory. But since we’ve already seen a lot of tea plantations in Munnar and Nuwara Eliya, He agreed to skip it. I think this is a plus point. As it gives makes your itinerary flexible. Yes, they have suggested stops for the tour. But if you want to add some of your own, as long as it’s on the way, they will clearly give way. At first, I was hesitant to visit this, I’ve seen one earlier in the trip and they charged high and mostly just let kids play with the turtles which didn’t sit well with me. This hatchery, however, rehabilitates turtles that were injured by fishermen at sea. They are released back into the ocean again once they are well enough. Sadly, upon visiting we found two turtles who lost their back fins which meant they can no longer go back to the ocean again. 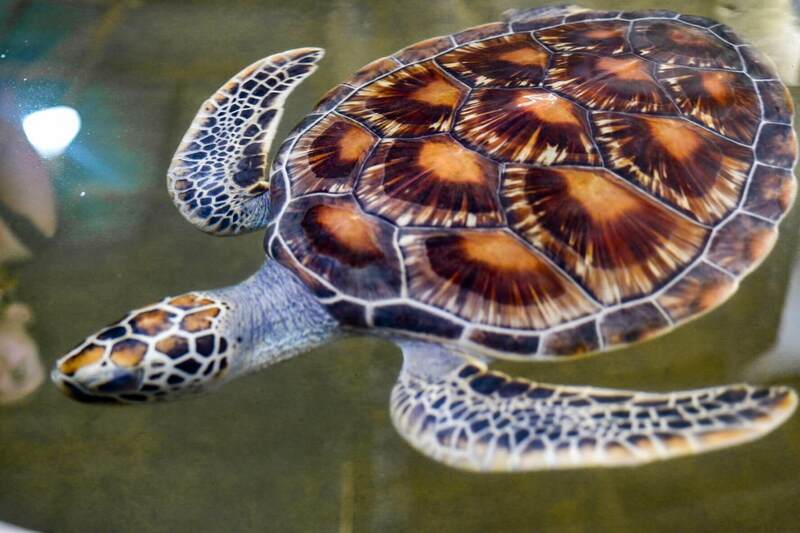 Aside from rehabilitation, they also help with turtle eggs for higher chance of survival. They monitor and take care of the eggs. As well as ensure that majority of these will survive to help preserve their kinds instead of letting them hatch on beach. Which may likely lower the chance of survival because of human activities and other animals. We also found out that the gender of the turtle depends on the heat of temperature they are exposed to! It was both cool and educational for us indeed. 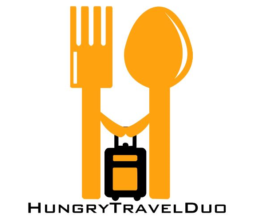 Quick Tip: It will be ideal to give a tip to the person doing the guide for this trip. I would have skipped this trip as well because India and Kandy have several of this. But since Tina hasn’t done it yet, we gave it a quick round and wasn’t disappointed with the tour. 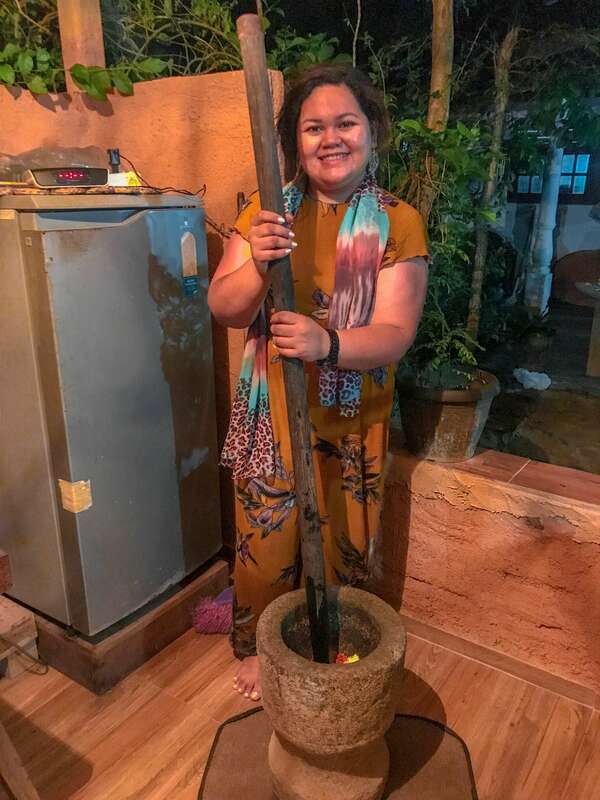 Loved how the guide made us smell the fresh aroma of the spices in he garden. The lake was extra beautiful to look at as well! Initially, we weren’t supposed to do this because Patrick found it too mainstream. But I was really eager to give it a shot so we went for it! Unfortunately, upon reaching the destination it felt like people were there just to pose. Although it still shows you how they used to fish, but you can’t actually see anyone fishing in the long stretch of the beach. There are locals who you can pay (or in this case you need to pay) in order to see them fish and it was all for the benefit of taking pictures of the act. But to be there and see something that was part of their culture was enough. Although we have encountered minor concern while we were there. Yes, Sri Lankans are kind people and you’ll feel safe most of the time. But there’s also a tendency that they over charge tourists or double the price. When we got there, their initial reaction was, “Pay me money” just because we were tourists. They even refused to take a picture until we’ve paid them. Captain Pumba saw the disappointment in our faces and talked to them and fortunately made a bargain of 500 from the original 1,000. I was about to argue that it wasn’t actually the price. Rather it was the principle that we were dismayed about. Although I was advised that it would be wobbly up there, I actually enjoyed and even felt relaxed up there. Thankfully I have a good sense of balance so climbing and sitting was a breeze. And I had a comfortable experience looking at the vast ocean. For our fourth stop, it was supposed to be lunch experience but since we already had an enormous meal from Fortaleza in Galle. So we asked Captain Pumba if we can have the dinner experience instead. This way we can be closer to our hotel in Welligambay. 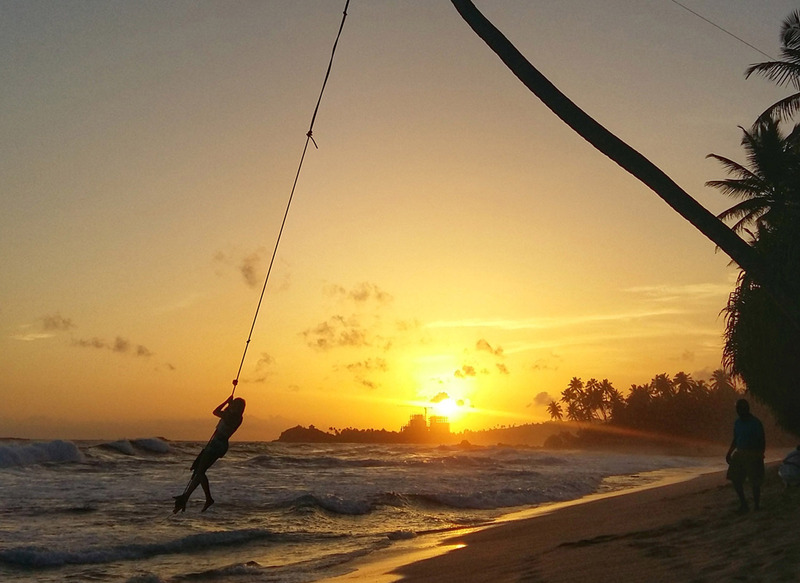 We then drove back to Dalawella Beach near the town of Unawatuna for their famous rope swing. It’s located just in front of Dream Cabana Resort. Captain Pumba advised that we have to pay to do the swing shot (LKR 400 per person). This one we were prepared for and it was a staple price for all. And not really something that you can haggle or whatnot. The family that owns this is very welcoming so Patrick and I gave it a shot. Tina, on the other hand, had fun capturing the sunset which is utterly beautiful and captivating. I guess there’s just something reminiscent with sunset and reflecting with today’s activities. For our last stop, since it was already close to night so we can’t really have the chance to get good pictures from Peace Pagoda and Jungle Beach as suggested by Captain Pumba, we have decided to have dinner experience. I had a funny experience, I had really wanted to see the Peace Pagoda but unfortunately we ran out of time. 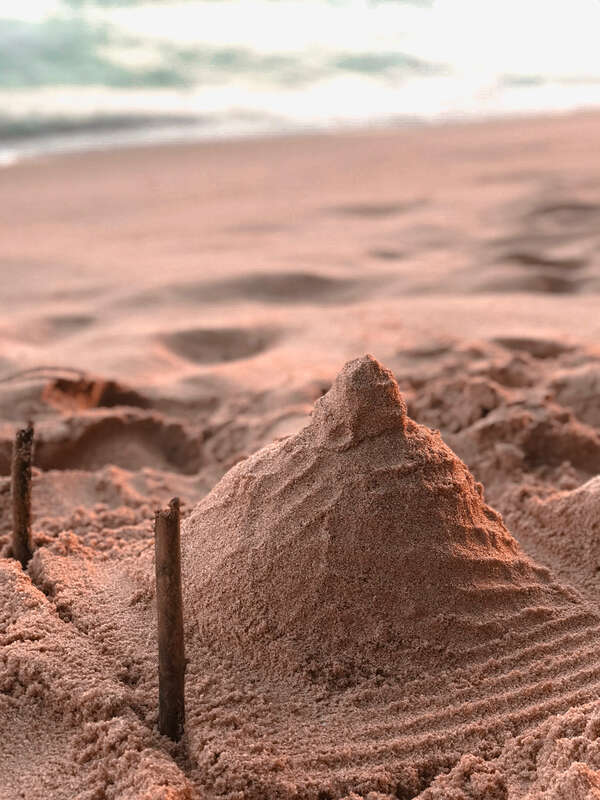 Captain Pumba quickly sat on the sand and built an image of the Peace Pagoda, seriously I couldn’t help but laugh. It was a good effort though. He kept asking me if he should take us but it wasn’t worth it if it was too dark already. The dinner was superb. We even helped in crushing the spices using huge mortar and pestle and even grated the coconut. We also had the chance to watch the cook do the dishes while we help them prepare some of it. 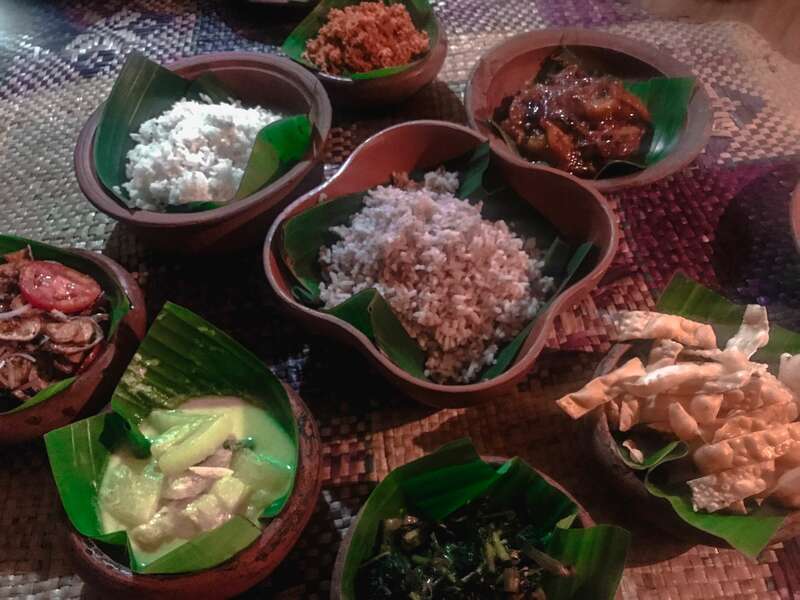 Aside from the good mix of vegetables and meat and the coconut sambal which I really like because it’s spicy, it was good to end the day together with the guides whom we let eat with us since we had the place private for our group only. 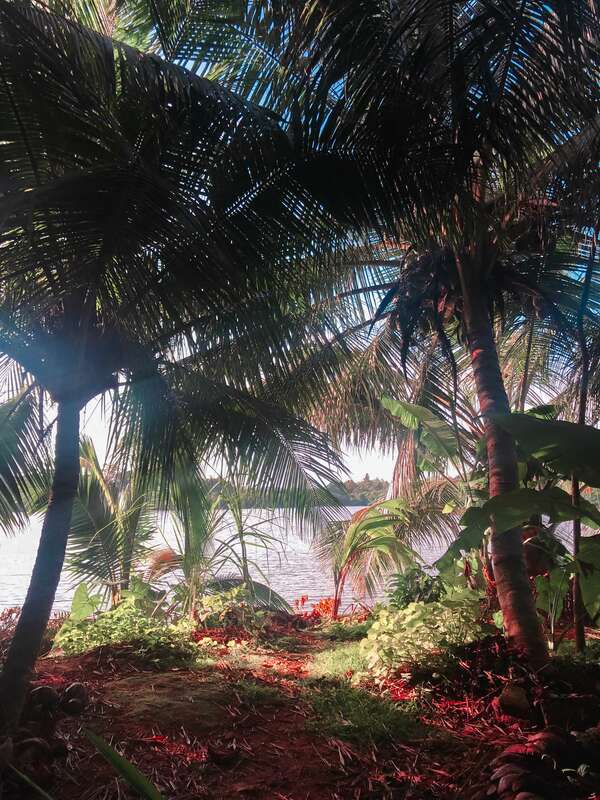 You can actually feel the vibe or the aura of being in Sri Lanka. Why take Tuk Tuk Safari? Good local overview on the places. 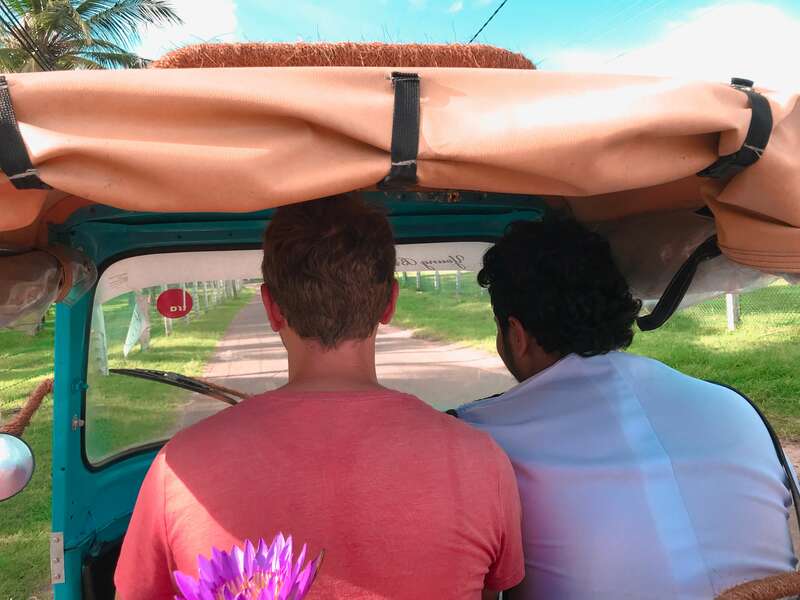 Tuk Tuk Safari Galle is yet again one of the best activities you’ll definitely want to do over again.